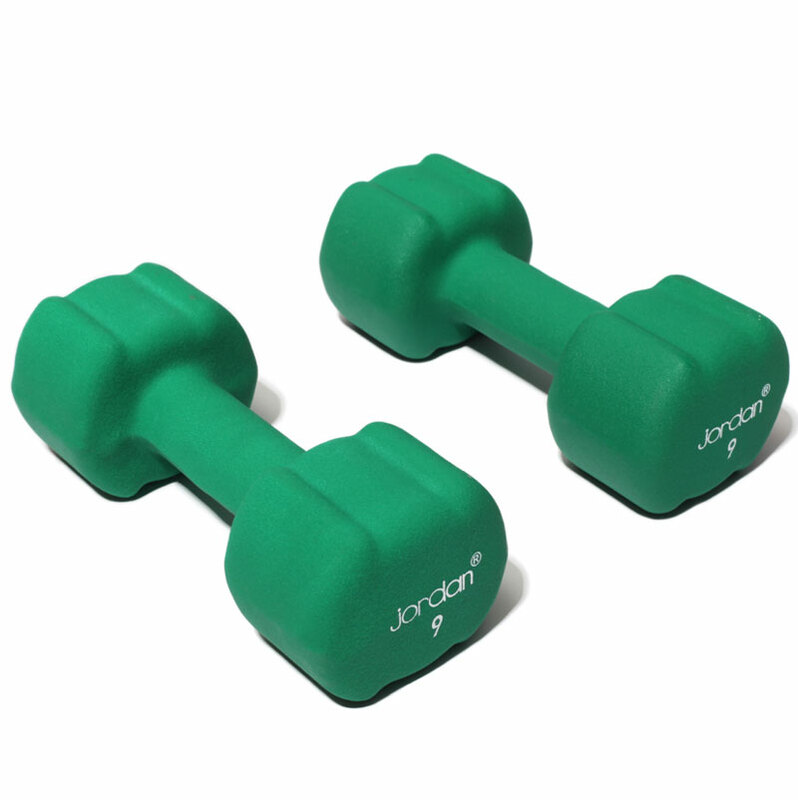 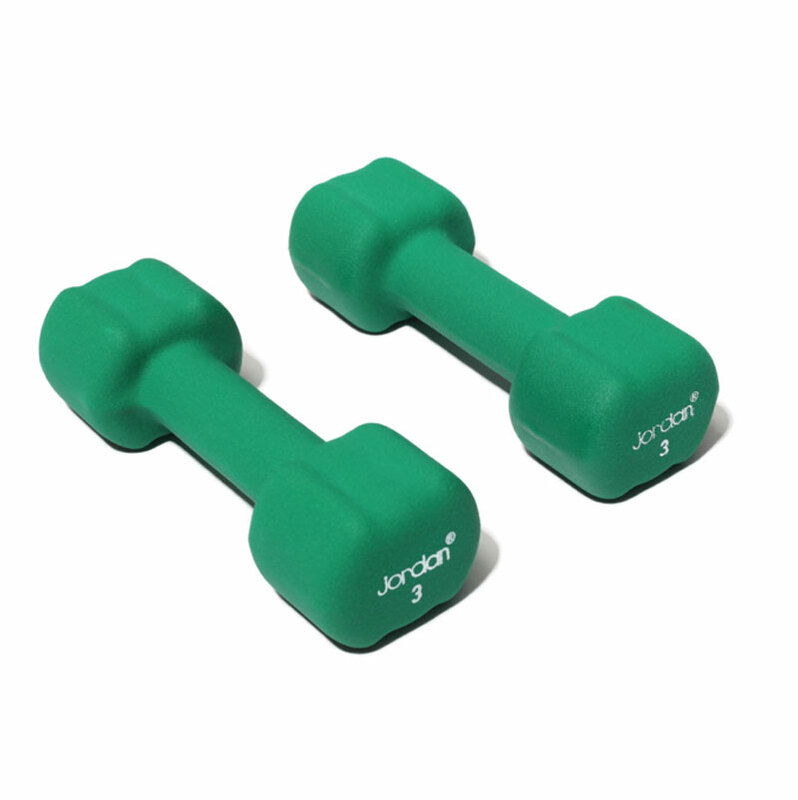 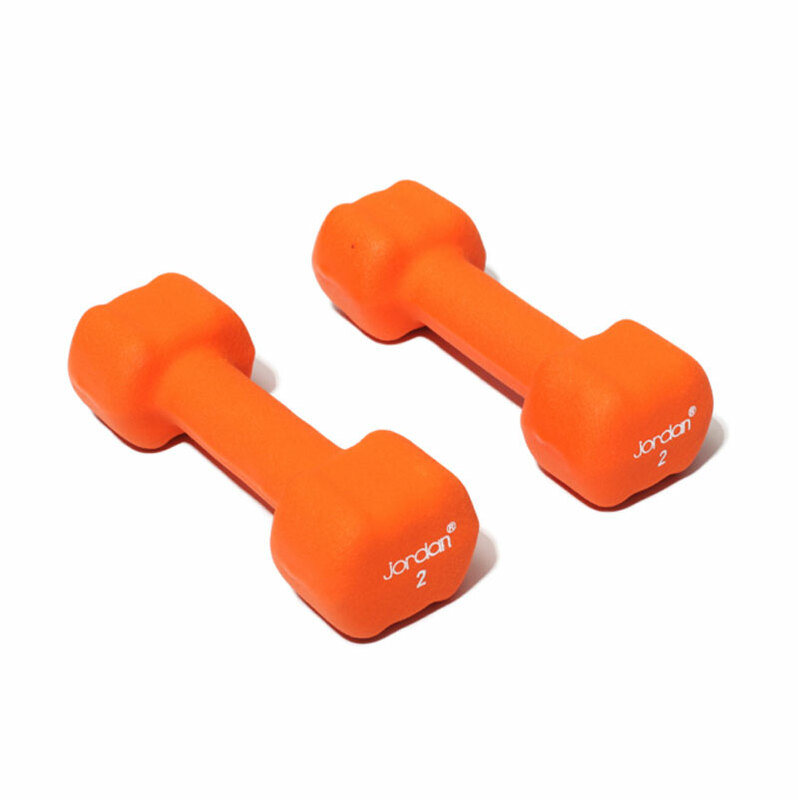 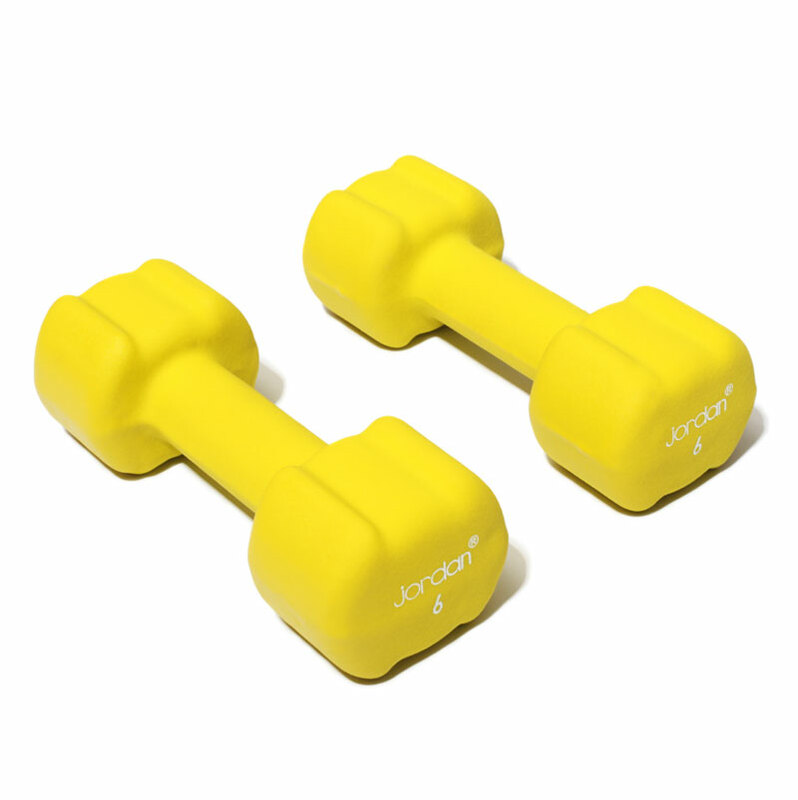 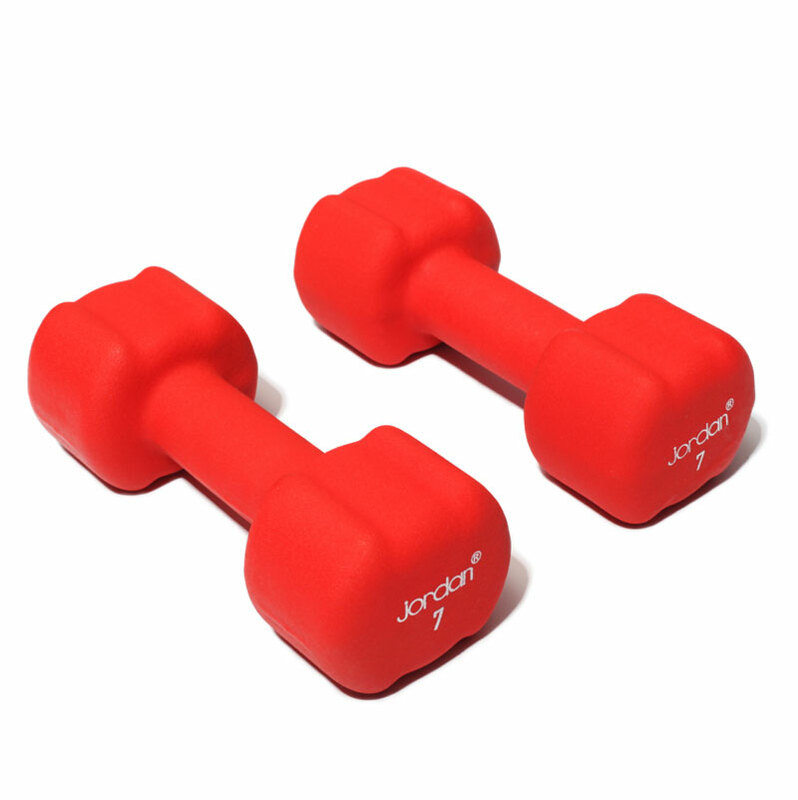 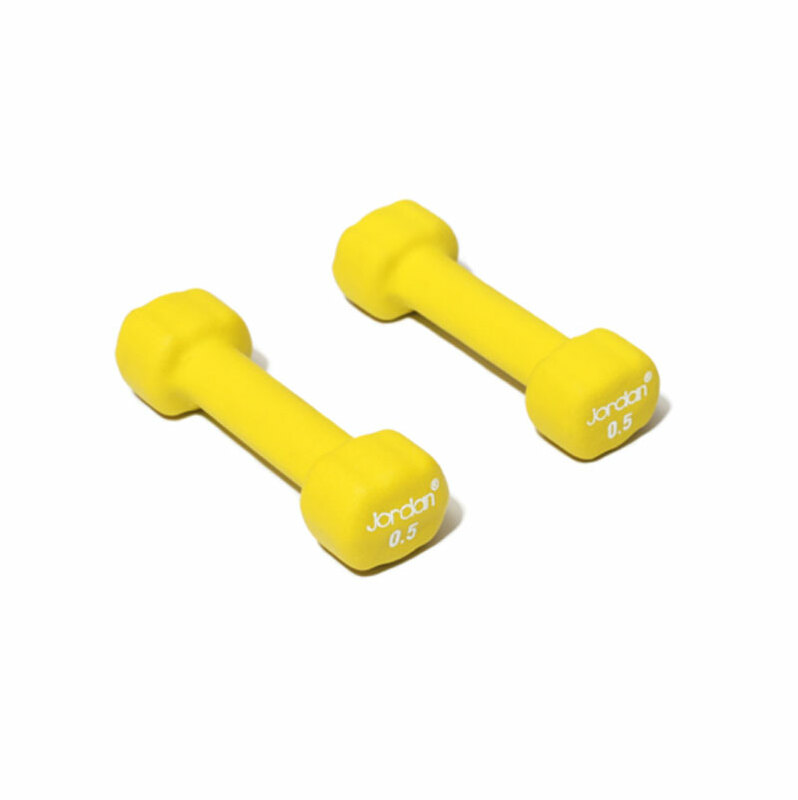 The Jordan ® Ignite Studio Dumbbells have a unique design with a stylish anti roll design and a comfortable grip. 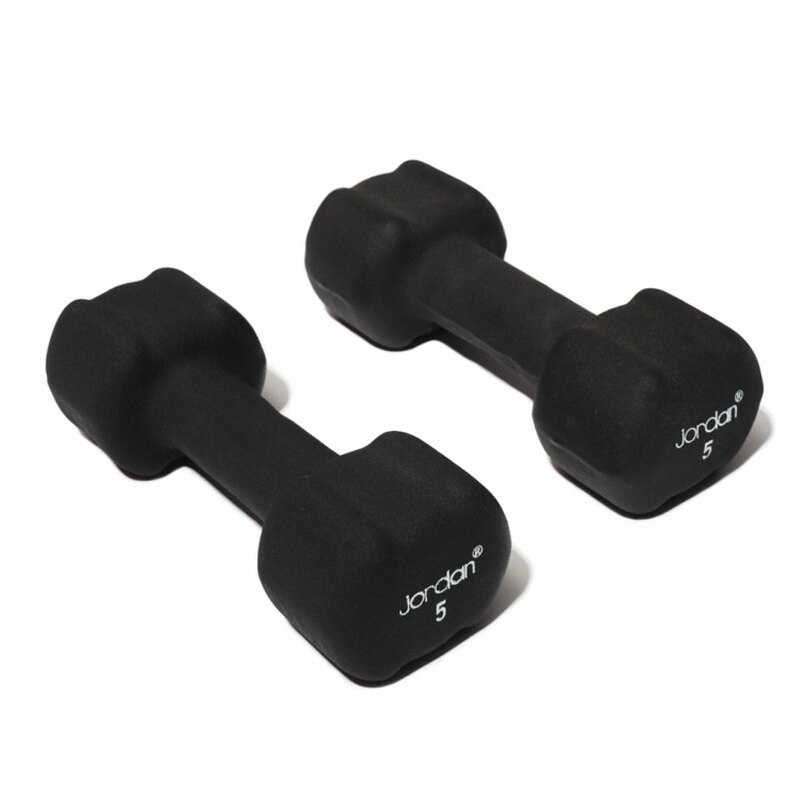 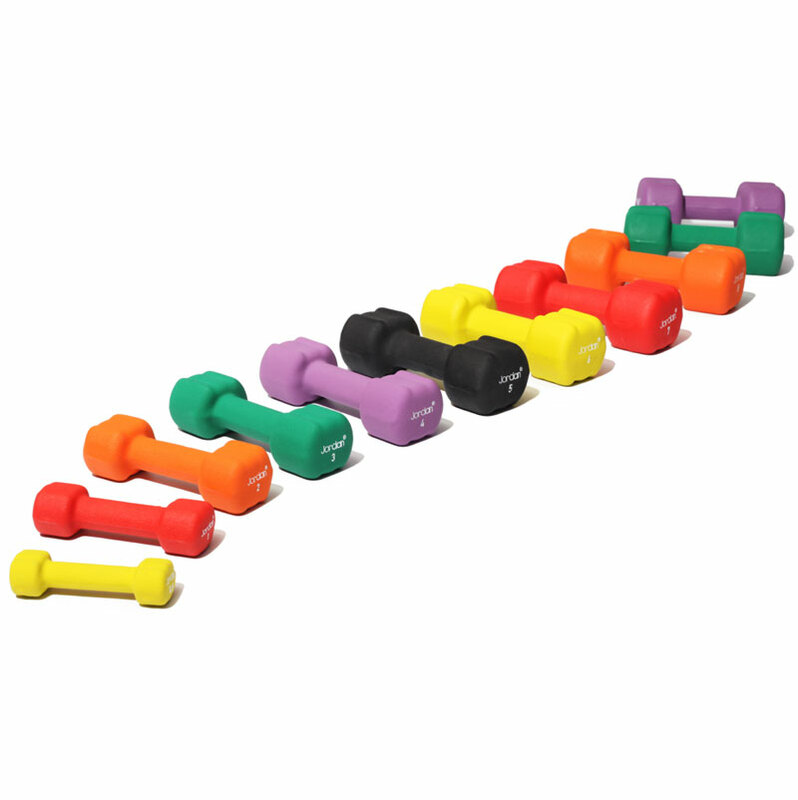 High quality neoprene cover with weights marked on each dumbbell. 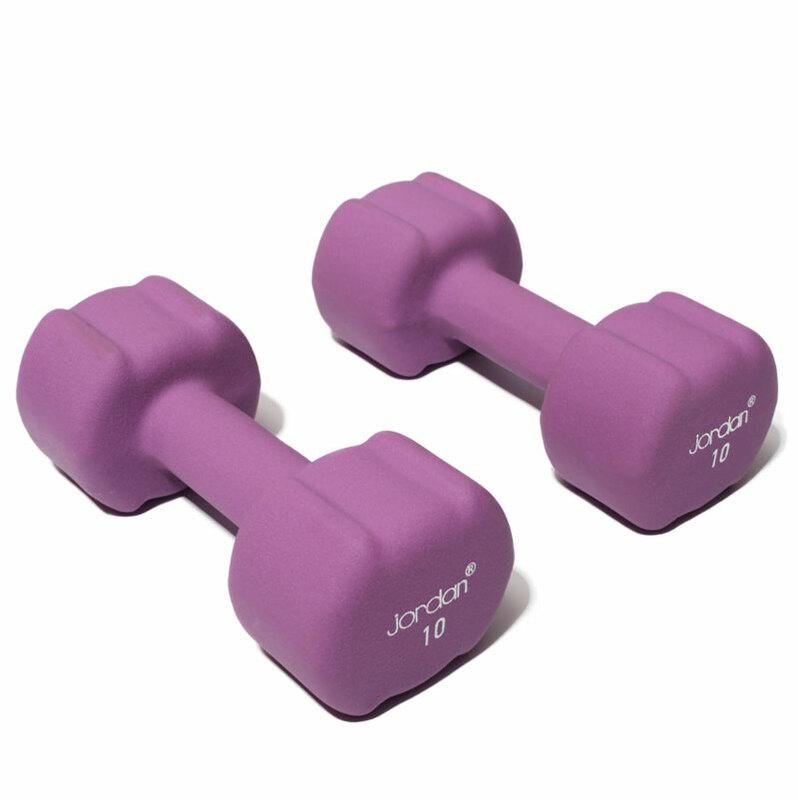 Weights marked on each dumbbell. 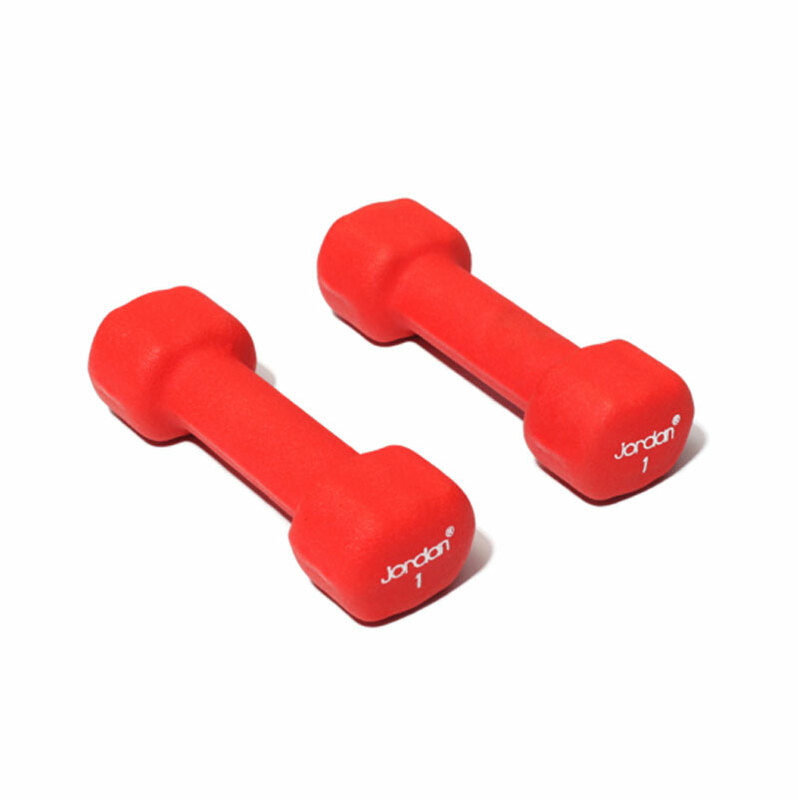 The neoprene covering will not scuff or mark any other surface.